You know that old saying. You never get a second chance to make a first impression. And when that first impression means the difference between passers by noticing your business and… not, the importance of that first impression reaches even greater heights. This is just one of the reasons why entrepreneurs agonize over getting the little details and nuances of their signage just right. Of course, the beauty of signage in the modern era is that businesses have such a wealth of options to choose from. We’ve already looked at the timeless class that blade signs can bring to storefronts to maximize their foot traffic and lend the business a sense of classical elegance. We’ve also looked at how laser cut acrylic signs can be the apotheosis of precision and customization for your brand. Here, however, we’ll look at channel letters. Of course, this is ground that we’ve travelled before. We’ve already looked at the effects of illuminated channel letter signs on commercial businesses but here we’re going to look at the effect that comes when mounting them to your rooftop raceway. Want to help your business to make the ultimate first impression? Good, then read on. Channel letters are not only a great look for virtually any business from auto repair shops to retail outlets and even restaurants, they’re also extremely versatile with huge scope for customization. This means that you can create mounted channel letters that are exactly sculpted to match your branding. Any font, any color, any arrangement, mounted channel letters make your brand come to life. Well, first of all custom channel letters are big and bold. They’re perfectly visible by daylight but if you choose to instal LED backlit channel signs you get glorious illumination by night. Aside from the obvious gratification that comes with seeing your name in lights, you get to provide a friendly and welcoming exterior that is inviting and attractive for prospective customers all day and all night. It’s nice to know that come night or day, rain or shine your branding will be able to make an impression on all who walk past your glorious channel letter signage 24 hours a day, 7 days a week. What’s more, the durable nature of our lighted channel letter signs means that they will remain pristine and beautiful whatever the weather. 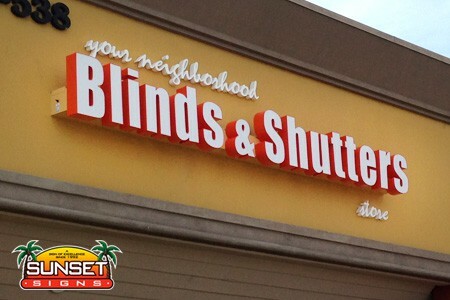 The last thing you need is for your brand to be compromised by damaged, dirty or askew lettering on your signage. First of all, what is a raceway? You could be forgiven for thinking that a raceway is a stretch of road in which cars compete but it’s also an important component of many interior and exterior signs. In signage terms a raceway is a three-sided rectangular box that functions as a mounting mechanism, while also serving as a housing for the electrical components of backlit signs. A raceway mount will allow your signage to stand proud against the slope of your rooftop, lending it a certain elegance as it peeks playfully above your rooftop at the passers by below. There are a host of benefits to such a mount. Some are aesthetic and some are practical. The backdrop of your raceway can serve to create a contrast that highlights your lettering and makes it appear more vivid and three-dimensional. 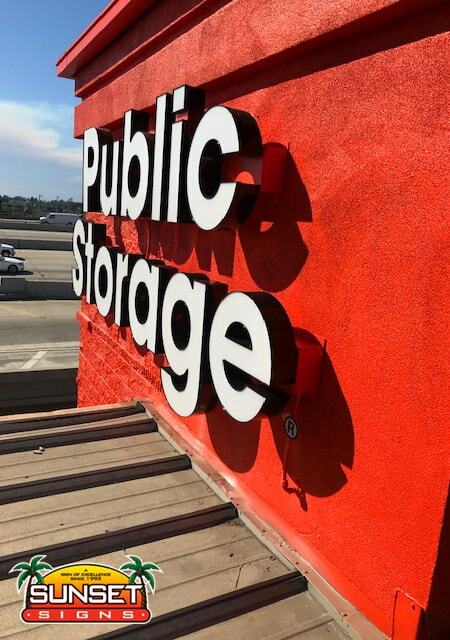 During daylight hours the sun can cast a shadow that lends prominence to your lettering while during the darker hours, the colored lighting from your LED backlit signs can bathe your rooftop in color. When compared to a wireway mount, raceways are bigger and thicker which in turn can lead to bigger and bolder signage. For those looking for a more optimal three-dimensional effect, raceways allow for bolder and more protrusive designs than wireway mounts. If you want your lettering to stand out it may be the superior choice. However, there are also a number of logistical and practical benefits to a raceway mount. Using a raceway to mount channel letters makes for a relatively quick and easy installation as it requires less alteration and intrusion into the mounting surface (i.e. your rooftop). Because only two or three mounting points are necessary it takes much less time than having to mount each letter individually. It also provides a safe and impermeable housing for the electrical components of your signage. This means that there’s less chance of your glorious glowing sign being reduced to a dim, dull rectangle by electrical faults caused by extreme weather. It’s always worth checking with your business’ property owner before making the decision to go with a raceway mount as some may insist that you use wireways. Some, on the other hand, will prefer that you use a raceway mount. Of course, whatever kind of signage you choose to represent your business to the world at large, it’s essential to choose a company that you can trust. At Sunset Signs, we’ve spent decades building a reputation that will qualify us to act as ambassadors for your brand through your signage. 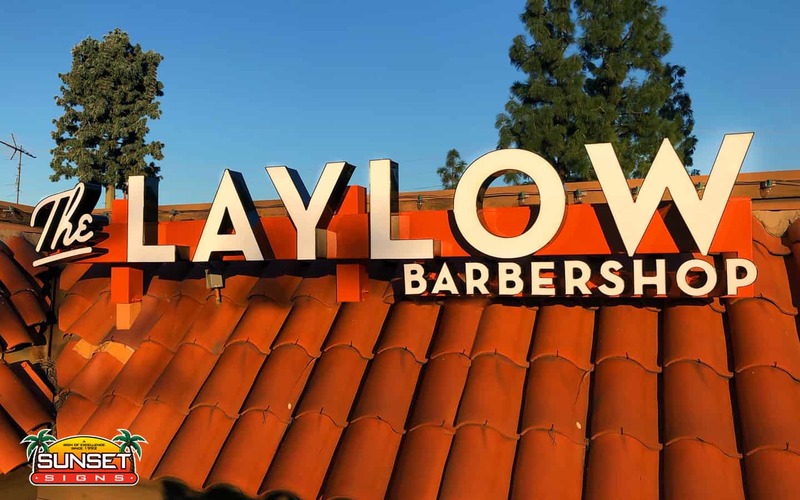 We can help you to design, create and install illuminated channel letters mounted to rooftop raceway to give your business the wow factor and make that all-important perfect first impression. We’ve been helping businesses just like yours to create the perfect signs since 1992, and whatever the nature of your business we know what it takes to grab the attention of your target audience. In fact, our quality signs can be seen atop discerning businesses all over the Southern California area. With over 25 years in the business, over a century of combined experience and over 10,000 satisfied customers we’re certain that there are no safer pairs of hands in which to trust your branding in the area. Of course, there’s more to us than just quality and customization. We pride ourselves on our extremely competitive pricing, outstanding customer service, and passion for creating signs that bring your brand to life. Give us a call today on 714-255-9104. We can’t wait to start working with you!